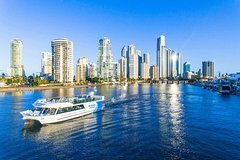 Blessed with a few hundred kilometres of canals and rivers (446km to be precise), the Gold Coast's waterways are more than ten times longer than those of Venice. 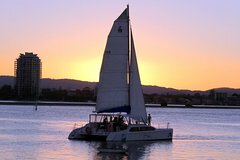 The Nerang River is the main aquatic artery and if you've ever had the chance to follow its course past Surfers Paradise and into the Broadwater with the sun setting behind the Mountain tops, it's an experience you won't forget. 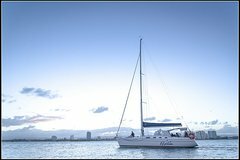 In fact, if you had a boat, a decent amount of fuel and the urge, you could travel from Surfers Paradise (and a few dozen other suburbs) right up through the Broadwater, into Moreton Bay, and into the Brisbane CBD without setting foot on land or the open sea. 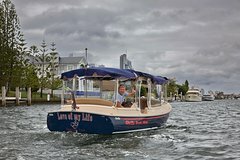 If you want to experience the Gold Coast from the water, a sightseeing cruise or fishing trip is a fantastic idea. 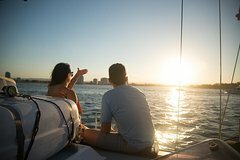 As the Gold Coast's longest running cruise provider, join Wyndham Cruises for a Gold Coast waterways cruise through the tranquil waters of our canals and Broadwater. 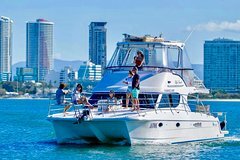 Their comfortable, purpose built sightseeing vessel has a rooftop observation deck so you can enjoy uninterrupted views of waterfront mansions and the famous Gold Coast skyline. 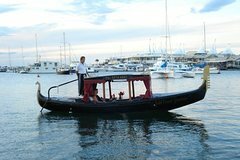 Choose from morning, afternoon and evening cruises, breakfast, buffet lunch, dinner cruises and much more. 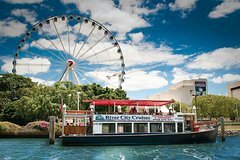 Join this exclusive 2 hour lunch cruise departing from the heart of the Gold Coast with a delicious buffet lunch that takes you through the extensive Surfers Paradise canal system - larger than the systems of Venice and Amsterdam combined! 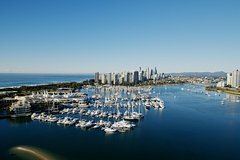 Then head out to the Broadwater to soak in some views of the coast's skyline. 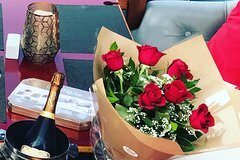 Enjoy your seafood and chicken lunch, perhaps a drink from the fully-licensed onboard bar, and soak in the sunshine from the deck. 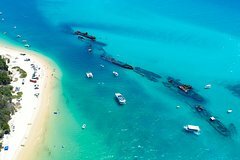 Enjoy a day trip to Tangalooma and explore the beautiful shipwrecks while snorkelling at Moreton Island. 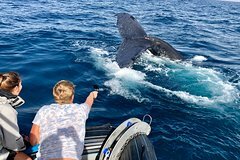 Get up close and encounter some dolphins, dugongs and possibly turtles, snorkel the wrecks, go swimming with schools of colourful sub-tropical fish, and enjoy a buffet lunch during your cruise to the location. You'll have some free time after lunch to relax or play. 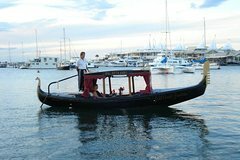 Optional transfer from your hotel, or meet at the boarding location. 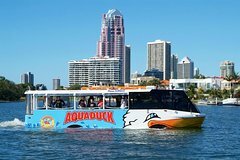 The Aquaduck lets you discover the Gold Coast by land and sea without even leaving your seat! Your return journey will begin in the heart of Surfers Paradise, taking in views of the famous, golden Gold Coast beaches while waddling along the beachfront. 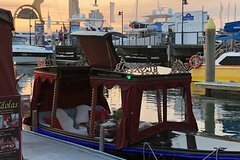 The vehicle then "transforms" into a boat as the Aquaduck goes harbour cruising, taking in the sights of Sea World, Marina Mirage, fabulous millionaires homes, canals and more from the water! 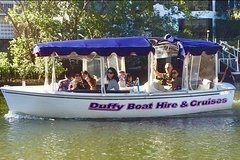 Experience a Gold Coast tour with an extremely fun difference aboard the Quack'R'Duck! 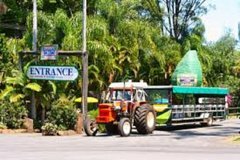 Set off from the heart of Surfers Paradise on this Gold Coast duck tour for a journey both along the roads continuing to the Gold Coast Broadwater. We then enter the water aboard the same vehicle as it's amphibious! Kids love the excitement and watery fun as we splash into the water, transitioning seamlessly into a relaxing and informative cruise. 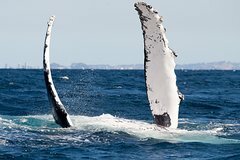 Get ready for a magical day out on the water and away from the city with this day trip to Tangalooma Island Resort. Swim or snorkel through the crystal clear waters or walk on the white sandy beaches. 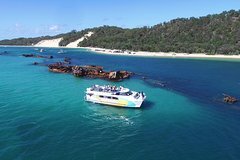 The Tangalooma wrecks are waiting to be explored, or you feed the beautiful wild dolphins when they swim into shore at dusk. With over 40 resort activities to choose from, you're guaranteed to have as action packed (or relaxing) day as you like. Learn how to catch your very own mud crab to cook and enjoy on this informative and scenic cruise tour. 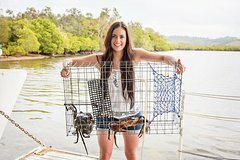 This excellent activity will show you how to trap crabs, fish and yabbies. You can give it a go or simply watch and take in the wildlife and natural surrounds around you. 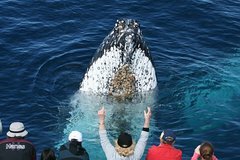 This tour comes with various lunch platter options or you can skip the lunch and just do the cruise through the Tweed River and Terranora inlet. 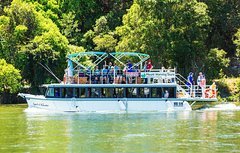 The Gold Coast's only rainforest cruise, see the incredible beauty of the Tweed River on this relaxing and scenic cruise. 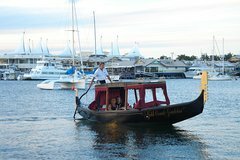 Choose between a 2 hour morning tea cruise or a 4.5 hour lunch cruise with either a BBQ or Seafood lunch. 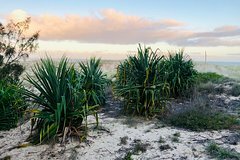 Cruise through sugar cane fields and sub tropical rainforests on the spaciour outdoor decks of the vessel. This experience will not disappoint. Optional return transfers available as an add on. After a boat ride with a little more action? Why not try the thrill of Jet Boating! 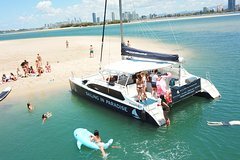 There are a number of tour operators on the Gold Coast, take your pick below and book online! You can even combine a jet boat ride with another activity. Enjoy an exciting 55 minute thrill ride with Paradise Jet Boating. 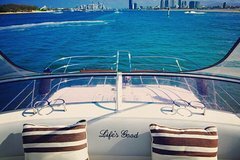 Departing from Marina Mirage, the high powered 500hp engines will prpvide wicked spins, exciting fish tails and adrenaline pumping 360 degree spins through the Gold Coast Broadwater and Seaway. There's never a dull moment on this tour! 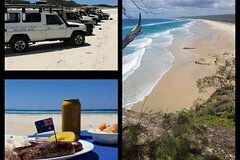 Get free return transfers from Surfers and Main Beach hotels aboard the unique 10 seater open air Super Jeep. 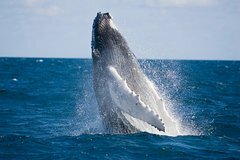 This is Queensland's only off shore ocean jet boating experience! Combining great views with awesome thrills, Ocean Jet Boat is the ultimate extreme activity. Stay dry in the fully enclosed boat in an individual racing seat in air conditioned comfort as the 880 horsepower twin turbo engines will blast through the huge ocean waves reaching speeds of up to 90km per hour. Don't be surprised if you see some dolphins on this tour!